It has been more than 20 years since he's been forced to defuse a bomb with a paperclip, but in a Perth hotel room yesterday, the 80s action hero the world knew as MacGyver accepted the familiar piece of stationery when it was offered to him. 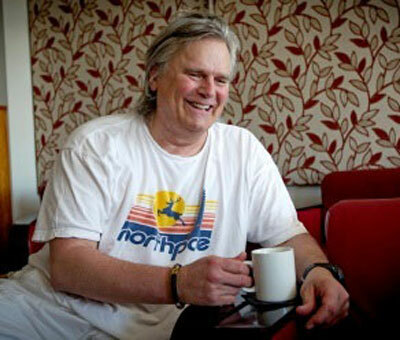 Richard Dean Anderson, better known as Angus MacGyver, laughed and unconsciously started bending the mundane metal. "The one thing that I have got a little tired of is somebody coming up and saying, 'Can you use this (paperclip) and a gum wrapper, can you make a bomb of out those'," he said. "I'm too nice to say, 'Are you cracked? Where's your sense of reality? No one can do that'." Anderson, 63, is in Perth for the Oz Comic-Con at the convention centre today and tomorrow, where he will appear alongside other celebrities including Star Trek legend William Shatner. While Anderson went on to achieve further success, most notably as Jack O'Neill in the TV series Stargate, he conceded his 80s persona was anything but forgotten. He put it down to the fact that his character uniquely used science to fashion everyday items into weapons for fighting bad guys. He had never used his MacGyver skills in real life, but there was a bit of "crossover" when he was doing work around the house. "It's just a matter of thinking out what the solution might be before calling a handyman," Anderson said. Anderson put acting on hold a few years ago to concentrate on being a dad to his now 14-year-old daughter Wylie. Catanzaro, Joseph. "Fans Still Love Old MacGyver Clips." The West Australian. March 9, 2013.